Our Customers tell us...We Rock! The book looked fabulous, and several parents commented to me on how nice it was. I know it was challenging to have such a tight deadline, since I could not get the action shots to you until a few days before, and so I am even more grateful for your quick and good work. What a great job and great service we received . There are so many details and time deadlines that we work under for these large leadership events (we had 1500 leaders over two days) that being able to rely on a partner like your team makes the difference in how well we succeed in our work. Many, many thanks. I have no doubt we'll work together again. Greetings! I just want to say thank you so much for getting in a last minute print request for me!! I got it from the back on the door, super duper great waterproofing job!!! I can't express my appreciation enough! You guys are AMAZING! Thank you soooo much for helping me out like this. I really appreciate it! Thank you so much for the work on the invitations for the 3rd Annual White Party to benefit Tatum's Bags of Fun. They look SPECTACULAR! Also, we really appreciate your generosity and support. Jane gave me the invoice and I have already issued payment via our online bank. Thanks again! Be Strong…Stay Strong!!! Thank you again, Brainstorm Print, for being amazing! I just wanted to send a note of thanks and appreciation for all your super effort in helping me produce professional, high-impact sales materials. Your entire group has been awesome to work with and went the extra mile to help us get these materials into our sales team's hands. Thanks so much! We look forward to the next project! You guys did a fantastic job. Thank you so much!! Will let you know how it goes! Take happy hour early! I picked them up this morning! Thanks for your awesome work. I look forward to working with you guys again soon. THANK YOU…you guys have been amazing!! Thank you for your email and reaching out to me, Richard. Jessica has been very helpful to me and I appreciate the quality customer service! 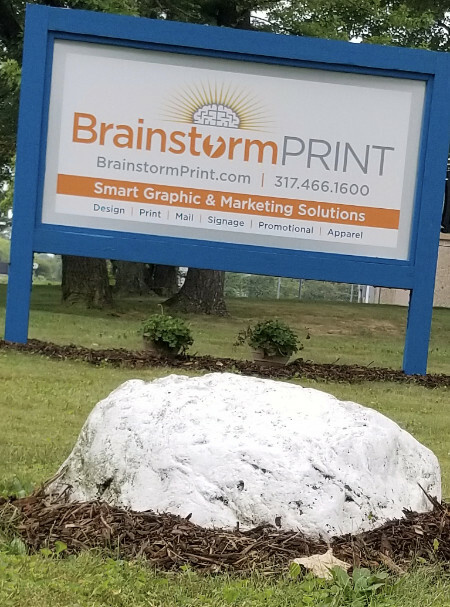 I look forward to continue working with Brainstorm for our printing and marketing needs! Wow! They are here and so fast! Thanks so much! Much appreciated. Jessica and Matt: I just wanted to thank you for a job well done. I appreciate that Matt caught the low res pics and logo and that he worked with us to adjust it. It made the difference between an acceptable report and a great one. Thanks. I look forward to doing business with you again. I’m sure you already know this, but your team is by far the best I’ve worked with on any print job, EVER. Even late Friday afternoon before a holiday weekend, they are so pleasant and quick to calm my nerves when close to a deadline. Thank you for providing the best service, even from 50 miles away! We cannot say enough about Brainstorm Print. Without them and their amazing staff, our company would be a bust. We've been doing business with them for over two years and couldn't be more pleased. It's not everyday that you find a company so dedicated to both its customers and the quality of product they produce. We're very grateful to all of you for your excellent service and excellent printing. We know we wouldn't have any happy customers without your contribution. Thank you so much for accommodating our "emergency" on Wednesday! The booklets were perfect! You are a magician! Thanks for getting this so quickly, this looks great to us. Just a word to let you know how appreciative and grateful I am for one of your valuable employees! Even though I’ve never met Matt face-to-face, my interaction with him by email has been stupendous! He has THE BEST disposition and personality and is ALWAYS willing to go above and beyond for our company. He has always pulled through for us, no matter what we’ve requested. Today was no exception when we asked for a rush order for 500 envelopes. Thank you for employing such a terrific, professional employee! You and your organization by far have the best quality products we have EVER ordered from and at an affordable cost. Please tell me you do shirts as well (we do)! I just wanted to let you know how pleased we are with the job you guys did on the Kiwanis Duck Splash Adoption forms. Not only do they look fantastic,, but their packaging was perfect. That may not be a big deal for some jobs, but because our Duck Splash is a charity gaming event, we have to keep track of all those forms by their serial numbers. With past printers I often ran into areas where the forms were not package in sequence it became quite a job to try and get them all organized into sequential groups of 100.Yours were all boxed in perfect order and it made my job much easier. So thanks again for your support of the Columbus IN Kiwanis Duck Splash and for doing such an OUTSTANDING JOB. Bravo on a beautifully finished program book. This email is a bit delayed after our concert on Saturday….trying to get caught up while moving on to the next event. I can't tell you (and your team) enough how pleased we are with the finished product. We heard many compliments last Saturday at our first concert; it is truly a piece we'll be proud to distribute all season long. Thank you for your hard work. I know how much time you put into it, and how much time you put into making us happy. On behalf of everyone here at the Phil, than you for everything! I just want to let you know how much I appreciate all of your help with pulling the MKNA home tour pieces together. I work with a lot of designers/production artists in my job, and it¹s rare to find people who have such great attention to detail AND customer service. Plus you¹re darn fast for me :) You're great to work with and it is always a huge relief to know that you have my back on this project. Thank you so much! Thank you for my awesome notecards, decal and letterhead. It was so special to put that name on the door….finally! I have been waiting for that day it finally became a reality. It is so cool to see my logo on our letters and our door. Thank you for helping us out. You Rock! !